I've spoken many times about the life-changing experience of seeing thousands of people standing in the rain for hours at a county fairground near where I grew up to get medical care in barns and animal stalls. What may come as a surprise to many is the fact that most of those people were there to see a dentist, not a doctor. Yes, most also needed medical care, but their first priority was to get relief from toothaches that in many cases had led to serious infections. The date was Friday, July 20, 2007, and the site was the Virginia-Kentucky Fairgrounds in Wise, Va., 50 miles north of where I grew up in Kingsport, Tenn. I drove there out of curiosity after reading in my hometown newspaper how big this annual three-day health care "expedition" had grown since the first year it was staged in 2000. Those hoping to see a doctor or dentist had driven much farther -- from as far away as Florida and Wisconsin -- to get care they couldn't afford at home. Remote Area Medical (RAM), the organization behind the Wise County event, got its start in 1985 flying American doctors on expeditions to treat patients in some of the poorest and most inaccessible places on earth. It never occurred to RAM's founder, Stan Brock, the former co-star of the 1960s TV show Wild Kingdom, that most of his expeditions would eventually be to dozens of cities and towns and Indian reservations across the United States. About 20 years ago, Brock got a call from a resident of Hancock County, Tenn., asking if he would consider bringing an expedition there. He was told that the county had lost its only dentist and that dental care was one of the area's biggest needs. So Brock rounded up some old dental chairs and persuaded a couple of dentists in Knoxville to accompany him to Sneedville, the county seat, to what would be RAM's first U.S. expedition. In the two decades since then, by far the majority of RAM's expeditions (706 at last count) have been to some of the smallest communities and biggest cities in the richest country in the world. Regardless of location, however, dental care has always been the biggest unmet need at RAM's expeditions. That's because far more Americans lack access to affordable dental care than to medical care. While we've been reminded countless times that nearly 50 million Americans have no medical insurance -- one of the compelling reasons for health care reform -- comparatively little attention has been paid to the fact far more of us -- an estimated 130 million -- lack dental insurance. And of those who do have it, coverage is often skimpy at best. As if that weren't bad enough, we have a shortage of dentists that is only going to get worse when the Affordable Care Act is fully implemented in a little more than three months. The good news is that the ACA will increase the number of children eligible for dental coverage under existing federal programs by up to 5.3 million. The bad news is that there will not be enough dentists to treat them. There aren't enough to meet current demand. Only a small percentage of dentists accept Medicaid patients. And nearly 50 million Americans live in communities, both rural and urban, where there are no dentists. This lack of access is not just a problem for those most directly affected. All of us are paying a steep price. 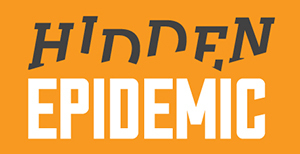 Just one example: in 2009, there were an estimated 830,000 visits to hospital emergency rooms for problems that could have been treated more appropriately and less expensively in a dental office. As former Secretary of Health and Human Services Louis Sullivan noted in a New York Times op-ed last year, emergency room visits for oral health problems cost taxpayers hundreds of millions of dollars every year. The cost to Florida taxpayers alone was estimated at $88 million in a recent year. Tragically, many of our neighbors who wind up in the E.R. every year, including children, never return home because they simply waited too long to get the care they needed. That's because of the close connection between oral health and overall health. Infections from tooth abscesses all too frequently migrate from patients' decayed teeth to their brains, often resulting in death. 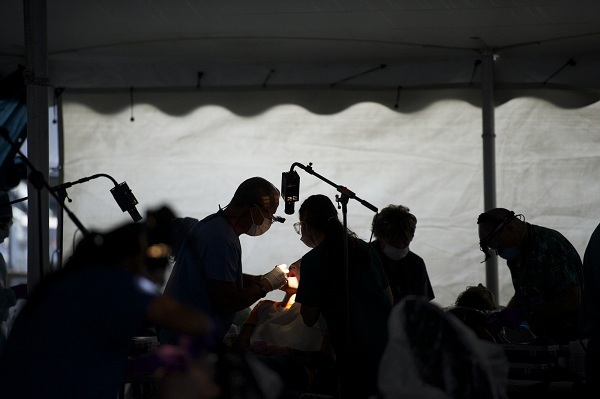 Dozens of volunteer dentists provide treatment to patients at the Remote Area Medical clinic in Wise County, Va.
Just a few weeks ago, Remote Area Medical held its 14th annual expedition at the Wise County Fairgrounds. Brock says that between 65 and 70 percent of the people who come to Wise every year -- and to every other RAM clinic -- are there for dental care. Aside from expanding dental coverage to more children, the Affordable Care Act does little to address the country's dental health care crisis. There is much more that needs to be done, but, fortunately, another act of Congress is not necessary. In future columns I will address how and why the crisis developed and what we can and must do about it.